Chemicals are all around us. They have properties that can be identified through the use of simple tests. We can learn about chemicals by adding water, heat or cool to them. We can also observe changes in chemicals as they interact with other chemicals. Chemicals can be acidic, basic, or neutral. We use chemicals every day. Everything is made of chemicals. Content Standard 3.1: Materials have properties that can be identified and described through the use of simple tests. B.1. Sort and classify materials based on properties such as dissolving in water, sinking and floating, conducting heat, and attracting to magnets. B.2. Describe the effect of heating on melting, evaporation, condensation and freezing of water. SCIENCE INQUIRY: Scientific inquiry is a thoughtful and coordinated attempt to search out describe, explain and predict natural phenomena. SCIENCE LITERACY: Science literacy includes speaking listening, presenting, interpreting, reading and writing about science. SCIENCE NUMERACY: Mathematics provides useful tool for the description, analysis and presentation of scientific data and ideas. BINQ.1 Make observations and ask questions about objects, organisms and the environment. BINQ.3 Design and conduct simple investigations. BINQ.4 Employ simple equipment and measuring tools to gather data and extend the senses. BINQ.6 Analyze, critique and communicate investigations using words, graphs and drawings. BINQ.9 Use mathematics to analyze, interpret and present data. BIG IDEA: Chemicals have properties that can be tested and change form with heat or cold and exposure to water. Key Vocabulary: chemical, solution, suspension, observation, data, mixture, separate, properties, dissolve, filtration, crystal, evaporation, control, chemical property, acid, base, neutral, indicators, neutralization, brainstorm, communication, compare, crystallization, fair test, filter. 3.3.b. Determine and use different tools and units appropriate for specific measurement tasks. 4.1.a. Design surveys for the collection of data and justify conclusions drawn from the data. Properties of Matter - How does the structure of matter affect the properties and uses of materials? 3.1 – Materials have properties that can be identified and described through the use of simple tests. GRADE-LEVEL CONCEPT: u Heating and cooling cause changes in some of the properties of materials. Materials have properties that are directly observable; examples include its state of matter, or its size, shape, color or texture. Other properties can only be observed by doing something to the material (simple tests). Materials can be sorted and classified based on their testable properties. Some materials dissolve (disappear) when mixed in water; others accumulate on the top or the bottom of the container. The temperature of water can affect whether, and at what rate, materials dissolve in it. Some materials, such as sponges, papers and fabrics, absorb water better than others. Some materials float when placed in water (or other liquids such as cooking oil or maple syrup); others sink to the bottom of the container. Some materials conduct heat better than others. Materials that are poor heat conductors are useful for keeping things cold or hot. Some materials are attracted to magnets. Magnetic materials contain iron. The physical properties of a material can be changed, but the material remains the same. For example, a block of wood can be cut, sanded or painted, but it is still wood. Heating and cooling cause materials to change from one state of matter to another and back again. Adding heat can cause solids to melt into liquids (for example, chocolate, ice cream, butter or wax); removing heat (cooling) can cause liquids to harden into solids (for example, hot candle wax hardens as it cools). Water may exist as a solid, liquid or gas, depending on its temperature. If water is turned into ice and then the ice is allowed to melt, the amount of water is the same as it was before freezing. Liquid water becomes solid water (ice) when its temperature cools to 0 degrees Celsius (32 degrees Fahrenheit). Warming ice to a temperature above 0 degrees Celsius causes it to melt into liquid water. B 1.Sort and classify materials based on properties such as dissolving in water, sinking and floating, conducting heat, and attracting to magnets. B 2.Describe the effect of heating on the melting, evaporation, condensation and freezing of water. · Common household chemicals have different physical and chemical properties. 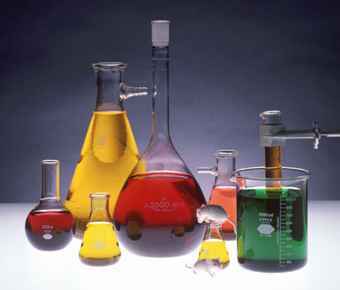 · Chemicals undergo changes in form, color or texture when they are mixed together, separated or heated. · Some chemicals can be identified by their interaction with water, vinegar, iodine, red cabbage juice and heat. · Different types of mixtures, such as solutions or suspensions, are created when solids are combined with water. · Evaporation and filtration are methods for separating mixtures of solids and liquids. · Some chemicals can be classified as acids, bases or neutral substances on the basis of their reactions with red cabbage juice. · Comparing and contrasting test results to define the properties of household chemicals so they can be identified. · Supporting conclusions with reasons based on experiences. · Communicating results and reflecting on experiences through writing and discussion. · Applying previously learned knowledge and skills to solve a problem. · Reading to enhance understanding of chemistry concepts. · Developing proper laboratory techniques to ensure safety and avoid contamination. · What properties do various chemicals have? · Can chemicals undergo changes? · Can chemicals change their size and shape? · Can chemicals break down? · What breaks chemicals down? · What are the proper techniques that we can use to be safe when using chemicals? · What is a solution and how is it different from a suspension? · How can we classify chemicals? · How can we test chemicals? Students gain experience observing an unknown material and describing its properties. Students assemble the tools and five unknown chemicals they will be investigating. Students learn about the importance of safety in science class. Students observe and describe the properties of common classroom objects. Students observe the five unknowns using their unaided senses, as well as equipment that extends and enhances their senses. Students discuss the properties of the five unknowns. Students begin recording and organizing data in a systematic way. Students predicting what they think might happen when they add a few drops of water to each unknown. Students investigate the effects of mixing each of the unknowns with water. Students record, organize and discuss their results. Students predict and then investigate what will happen when a greater amount of water is mixed with the unknown solids. Students observe and record their results of the investigations. Students filter the mixtures to explore further the physical properties of the solids. Students discuss their observations after filtering the liquid mixtures. Students predict, observe and discuss the filtration results of the mixtures they created in Lesson 5. Students record their observations on a test table of their own design. Students continue to explore the properties of two types of mixtures, solutions and suspensions. Students predict the results of testing the five unknowns with vinegar. Students test the unknowns and record and discuss their observations of the different reactions. Students discuss how the use of a “compare circle,” or control, helps them interpret test results. Students write their own thoughts on what they have learned by testing the unknowns with vinegar. Students predict the results of testing the five unknown solids with iodine. Students test the unknowns and record/discuss their observations. Students continue to learn safety guidelines for working with chemicals. Students predict the results of testing the five unknowns with red cabbage juice. Students test the unknowns and discuss and record their observations. Through the individual writings and class discussion, students reflect on what they have learned about the unknowns from the tests they have conducted so far. Through individual writings and class discussion, students reflect on what they have learned about the unknowns from the tests they have conducted thus far. Students predict the results of testing the five unknowns by heating them. Students test the unknowns and record and discuss their observations. Students discuss and use new safety guidelines when heating materials. Students create test summary tables that enable them to review the data they have collected on the unknowns. Students summarize and analyze their results in order to discriminate differences between the unknowns. Using all of their test results, students predict the identities of the unknowns and provide reasons that support their predictions. Students use the process of comparing their test data with a reliable source of information to identify the unknowns. Students read about how the five chemicals they have been testing are used in everyday life. Students review and discuss the processes they use to identify the unknown solids. Students develop and apply a testing strategy to identify the contents of the mystery bag introduced in Lesson 1. Using their test results, students analyze their recorded data, drawn conclusions, and support those conclusions. Students decide which tests to perform, and in which order to perform them, to identify two solids in a mixture. Students interpret their test results, drawn conclusions, and support those conclusions with their data. Students apply the red cabbage juice test from Lesson 9 to six household liquids. Students share test results and develop their own system on classification for the six liquids. Through a reading selection, students learn about acids, bases and neutrals. By comparing their test results with information in the reading selection, students classify the six household liquids (and their five powders) as acids, bases or neutrals. · Students decide which chemical tests they will perform and in what order they will perform them to solve a new problem. · Students analyze their recorded data, draw conclusions, and support these conclusions with their test results. · Students record their thoughts about the significance of negative results and about chemical properties as indicators. Overview: This is the second part of the matched pre- and post-assessments of student ideas about chemicals. By comparing the individual and class responses from Lesson 1 with those from the following three activities, you will be able to document students’ learning over the course of the unit. During the first lesson, students recorded their thoughts and questions about chemicals, developed class lists about what they know and want to know about chemicals, and individually wrote about the “unlabeled container” scenario. Hopefully, students will revisit this and appreciate how much they have learned throughout the unit. Materials: 1 science notebook for each student, newsprint, markers and lists from lesson 1. 1) Give students purpose of the assessment as detailed above. 2) Have students review activities or results and share what they learned among themselves, then the whole class. Suggestions include to use the jigsaw approach, dividing the class into groups with one activity to focus on and then report back, or use the chalk-talk activity format where students approach an open board or large sheet of paper to record what they have learned; a group impression of the results with individual input. 3) Finalize this by asking students to add any final comments. 4) Have students write a final notebook entry describing what they now know about chemicals and chemistry. Also, ask them to include any questions they still have or any new ones that have arisen since they began to work on this unit. 6) Ask students to refine any conclusions they have come to and ask them to find NEW conclusions that are not on the original list. 7) Display the list entitled “What we would like to know about Chemicals” from Lesson 1. Ask students which of the remaining questions they still cannot answer. Also ask what ways students might find out the answers to unanswered questions. 8) Encourage the class to continue to look for answers to questions that remain unanswered. a. Are students more aware that chemicals are all around us? b. Have students discovered that different chemicals have different properties? c. Are students aware of the results of heating, separating and mixing? d. Are students aware that there are different types of mixtures with different properties? 10) Present the “unlabeled container” scenario to the class again. a. What are some ways you could try and find the identity of the unknown powder? a. Is the student reflecting on and applying his/her experiences in the unit? b. 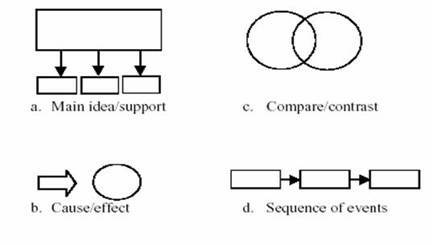 Does the student’s proposal for solving the problem indicate the application of the previously learned knowledge and skills? 13) Students who cannot share their thoughts in a written format should be permitted to speak theirs orally. Student responses reflect major misunderstanding of major concepts (i.e. ways to test chemicals; acid, base and neutral classification); demonstrates little to no understanding of concepts taught. Student responses reflect some misunderstanding of major concepts (i.e. ways to test chemicals; acid, base and neutral classification); demonstrates some understanding of concepts taught. Student responses reflect understanding of major concepts (i.e. ways to test chemicals; acid, base and neutral classification); demonstrates good grasp of concepts taught. Student responses show mastery of concepts taught. Students use vocabulary properly, show understanding of acid, base and neutral classification. Students also show ability to cite examples to support points of view and can verbalize understandings clearly. · Two common misconceptions are that the particles of a liquid state are far apart and the particles of solids have no motion. These are untrue. In fact, liquid particles are close together and solid particles have a vibrating motion. · Gases are not matter because most are invisible. · Gases do not have mass. · Particles of solids have not motions. · Air and oxygen are the same gas. · Particles possess the same properties as the materials they compose. For example, atoms of copper are "orange and shiny," gas molecules are "transparent," and solid molecules are "Hard." These are all false. · The bubbles in boiling water contain “air,” oxygen,” or “nothing,” rather than water vapor. Where do chemicals come from? Chemicals are all around us. Everything - rocks, air, the Sun, planets, and galactic clouds - is made up of chemicals. Chemists are scientists that study chemicals. They think of chemicals as everything around us and every substance known to man. Chemicals are made up of atoms. These are very small particles of matter. They can be organic (from the interaction of living or once living things) or inorganic things (never living). Inorganic chemicals came from gravity, explosions of suns and gases and other non-living activities. Most chemicals are recycled and reused in some way. Chemicals make up everything that surrounds us. Examples of chemicals are salt, water, oxygen, and other things like plastic, metal and wood. Everything is made from chemicals. Sometimes more than one chemical work together to make a mixture, solution or suspension. Chemicals can be solid, liquid and gas. Chemicals can also change when they are heated and cooled. For example, if sand is heated to a very high temperature, it can melt and be made into glass. Things that you eat are also full of chemicals. Some are natural chemicals and others are not. Sugar, oil, salt, spices, flavorings and colorings are all made of chemicals. Chemicals are as popular as favorite television shows! Metals are made by taking inorganic chemicals from rocks. Special alloys are made by combining these metals with different metals and other chemicals elements under certain conditions like heat or cold. One example is concrete, which is made from limestone; and glass from sand (which is mixed with other inorganic materials). Based on information by Richard E. Barrans Jr., Ph.D.
A1 – What would be another good title for this article? Use information from the text to support your answer. A2 – Paragraph two is most about ______________________. Finish the sentence and explain how you know. A3 – What important facts about chemicals have you learned from this article? Use details to explain why these facts are important. A4 – If the author added another passage to this article, what would it most likely be about? A5 – The word “organic” from the text is probably another way of saying _____________. Finish the sentence and explain how you know from the text. B1 – Which of these shows the way that this article is organized? B2 – The author includes the last paragraph to ______________________. Finish the sentence and explain how you know using information from the text. B3 – Do you think chemicals can be described as important? Use information from the text to support your answer. C1- If the author of this article were to walk into your town today, what would you most like to ask him or her? Use information from the text to support your answer. C2 – Which part of the article was most interesting? Use information from the text to support your answer. D1 – A simile is a comparison of two unlike things using like or as. Find a simile in this article and then explain why the author chose to use it. D2 – Imagine that you were going to give a talk to your class about chemicals. What are two main points that you would include in your presentation? D3 – How does the author show that science is important to him? · Students may investigate testing other unknown powders and liquids or create unknown challenges for each other.